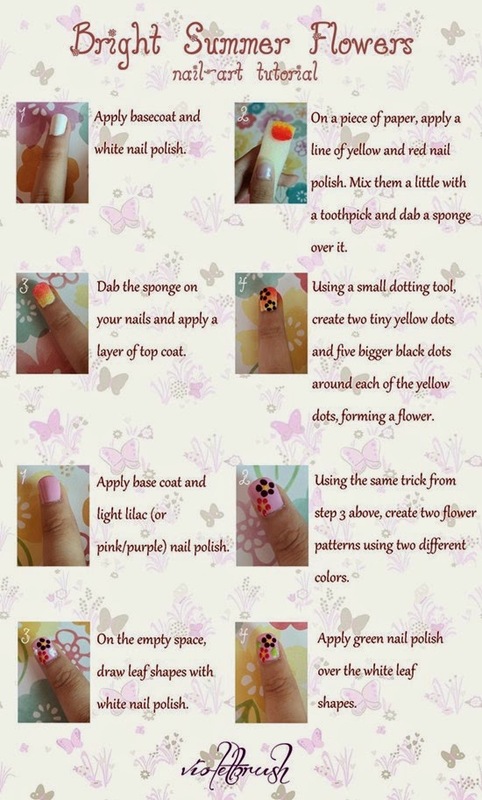 Some of you might notice that the finger on the second tutorial above is not my pinkie. First, I thought that the lilac color will suit the summer theme but it looked so dull compared to the yellow-red ombrè on my ring fingernail. So I erased all of the nail polish on my pointer and middle fingernails and recreate the ombrè. Here's a picture of the first nail-art I created. Looked rather dull right? 1. Always have a cotton bud near you since creating ombrè nails will surely make a mess. 2. Apply top coat very gently, I recommend you to apply top coat a day to ensure that the nail polishes are perfectly dry. 3. Dab the sponge twice on your nails for brighter color (ombrè).